EASTON, MD (October 2, 2018) – The historic Tidewater Inn – a timelessly refined luxury boutique hotel ideally situated in the heart of downtown Easton on Maryland’s Eastern Shore – announces the official launch of ticket sales for the 7th annual Tidewater Inn Brew & Oyster Brawl scheduled on Saturday, November 10th, 2018, from 3:00 p.m. to 6:00 p.m.
For more information, call Tidewater Inn at (410) 822-1300 or visit https://tidewaterinn.com/brew-oyster-brawl. 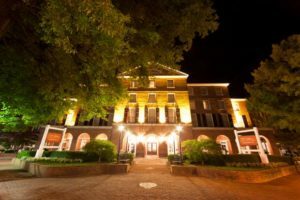 Tidewater Inn is located at 101 East Dover St, Easton, Md. 21601.